Every Saturday night, Ginger and I have what I call our date night. Therefore, last Saturday, I made one of my favorite meals, which consists of tortellini, melted asiago cheese, and bacon bits. Aside from the taste, I can easily prepare my dinner, which is enough time to get Ginger’s dinner ready and devoured by her. 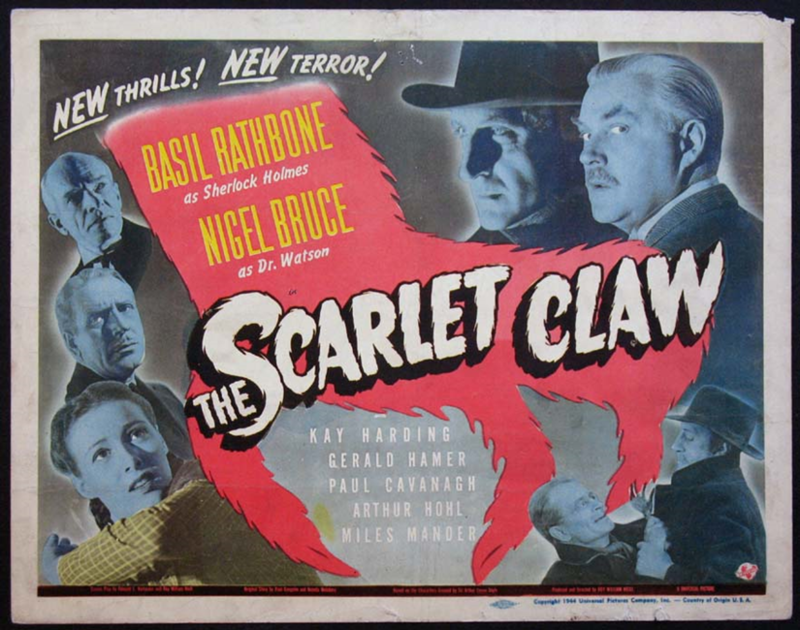 We then went to watch another Sherlock Holmes film, The Scarlet Claw. 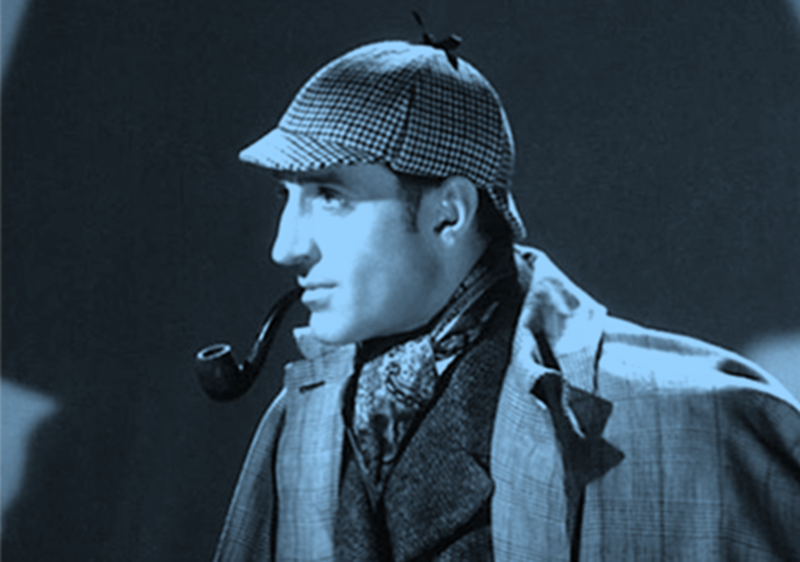 It came out in 1944, which meant that I was about ready to toddle around my world as Sherlock Holmes was the Consulting Detective. What is interesting about Sir Arthur Conan Doyle’s writing was that it was written in the latter part of the Victorian age but has been adapted to the middle of the 20th century. 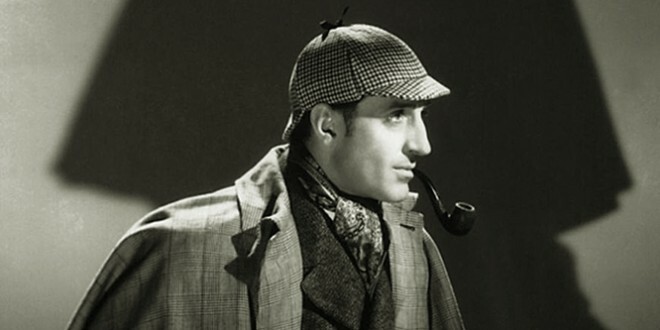 Actually, most of the movies featuring Basil Rathbone as Sherlock Holmes were such adaptions. The Scarlet Claw is such a movie. Sherlock Holmes and Dr. Watson have traveled to Quebec City, Canada to attend a symposium on the occult, which Lord Penrose lead. Penrose attempted to prove the issue of the occult as it relates to three murders at the small village of La Mort Rogue a century before. The murder victims had their throats torn out of their bodies. While Ginger and I watched the movie, she would add one-liners pretty much like Sherlock Holmes did during the movie. When the movie got into the murders at the La Mort Rogue, Ginger said, “You know, that is pretty much the storyline of the Hound of the Baskervilles.” I agreed. 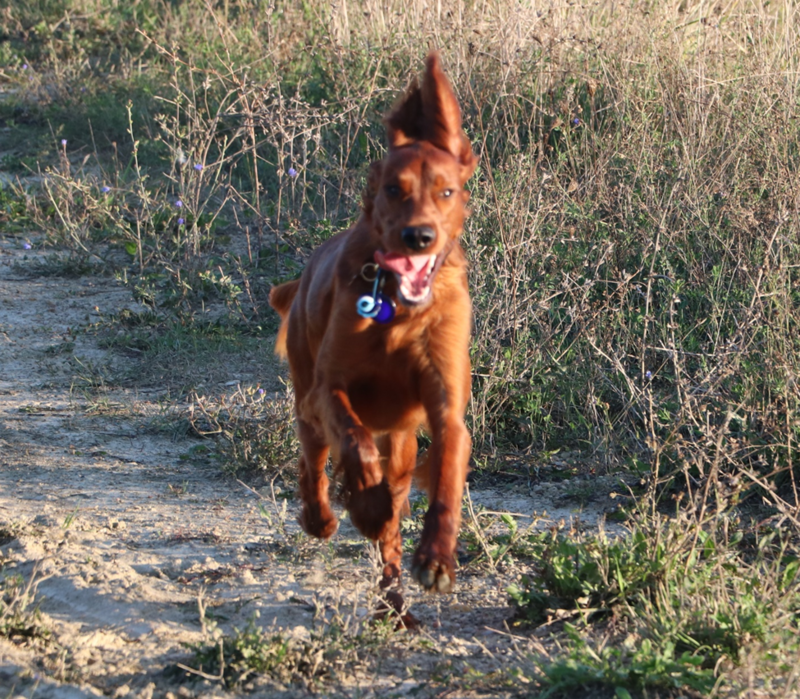 It did sound like the killer dog wandering in the marshes like it did on the moor. When the movie moved from murders in the past to a handful of murders in the present, the ringing of the church bell announced the murders. Ginger questioned the church bell ringing. 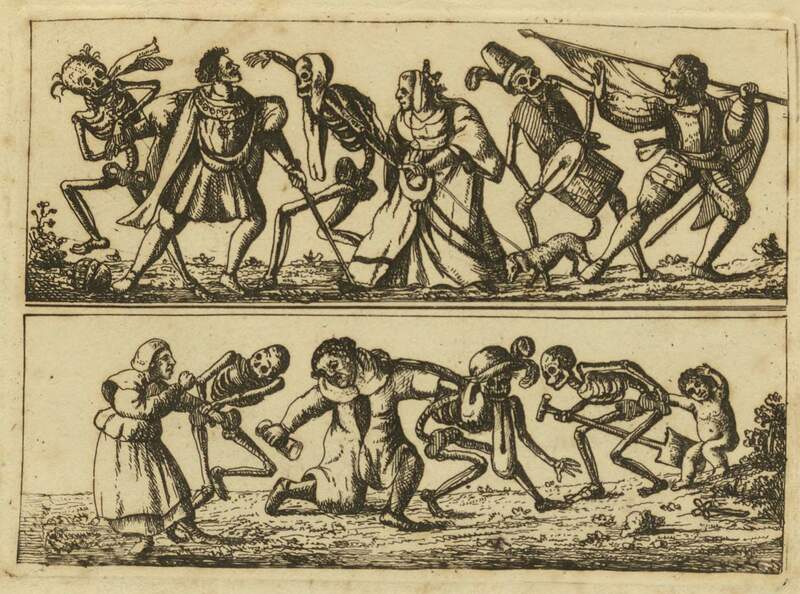 I explained that John Donne was ill due to the Black Death in 1623. He had contracted the bubonic plague and, as a result, wrote this short poem. No man is an island, entire of itself; every man is a piece of the continent, a part of the main. If a clod be washed away by the sea, Europe is the less, as well as if a promontory were, as well as if a manor of thy friends or of thine own were: any man's death diminishes me, because I am involved in mankind, and therefore never send to know for whom the bells tolls; it tolls for thee. I tried to explain that in Europe during the many plague outbreaks, the sound of the church bell meant another person had died. I wanted Ginger to understand that Donne wanted his readers not to wonder who died, because all humanity dies when one person dies. My information about the tolling of the bell made sense to her. However, it took Ginger and I quite some time to decide who was the murderer. Surely, it wasn’t the hound of the Baskervilles. Finally, it was apparent that Alistair Ramson was the murderer of a handful of the locals. Ramson had been an actor years before and was into wearing disguises. Ginger didn’t grasp why Ramson killed all the people. This time my answer was a one-liner...unrequited love. He was in love with Lady Penrose who had also been an actress years ago. Ramson was interested in her, but she wasn’t interested in him. Ramson tries to claw a disguised Sherlock Holmes. Sherlock Holmes disguises himself and confronts Ramson. 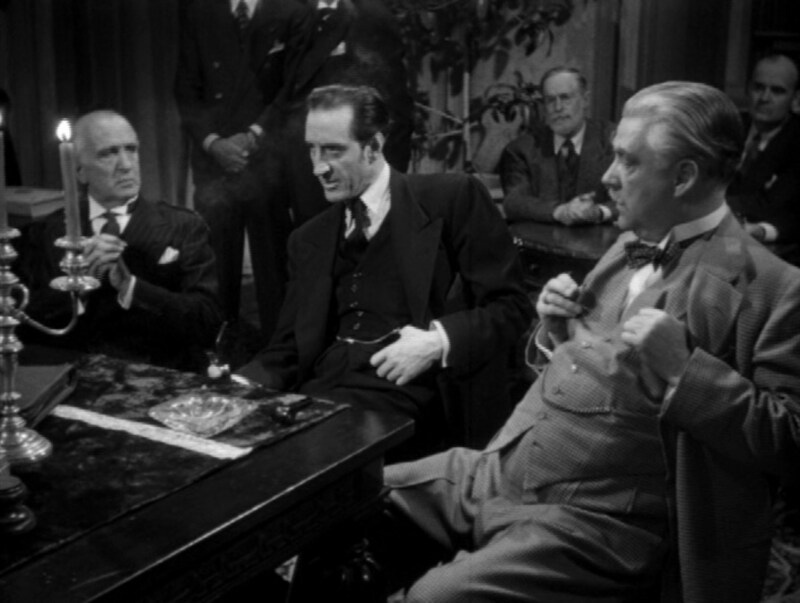 The two have a tussle as Ramson attempts to claw Sherlock Holmes’ throat out. 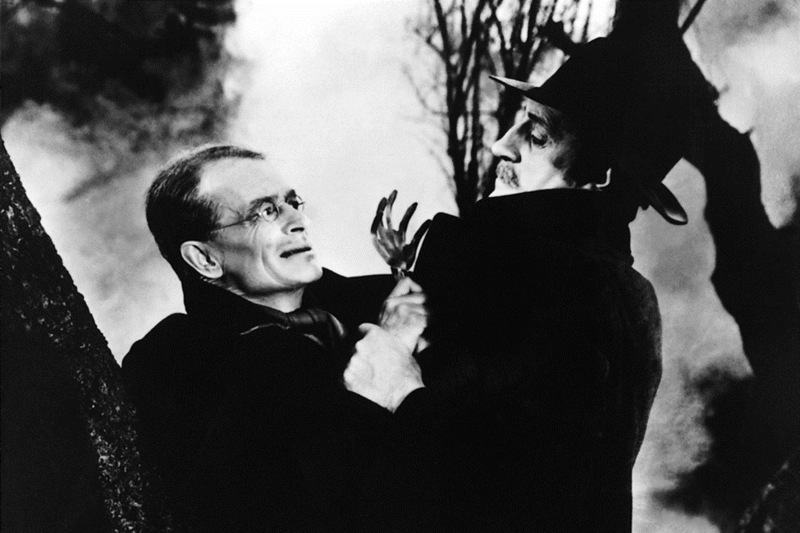 Nevertheless, Sherlock Holmes manages to solve the killing by eliminating Ramson, the scarlet claw. The movie ended, and I cleaned up and went to bed. The next morning, we were up just after 6am to take our walk around Lake La Mancha. As we have done on all our walks, I disconnected Ginger’s leash at the end of the lake, which consists of the moor. She ran free as she always does. 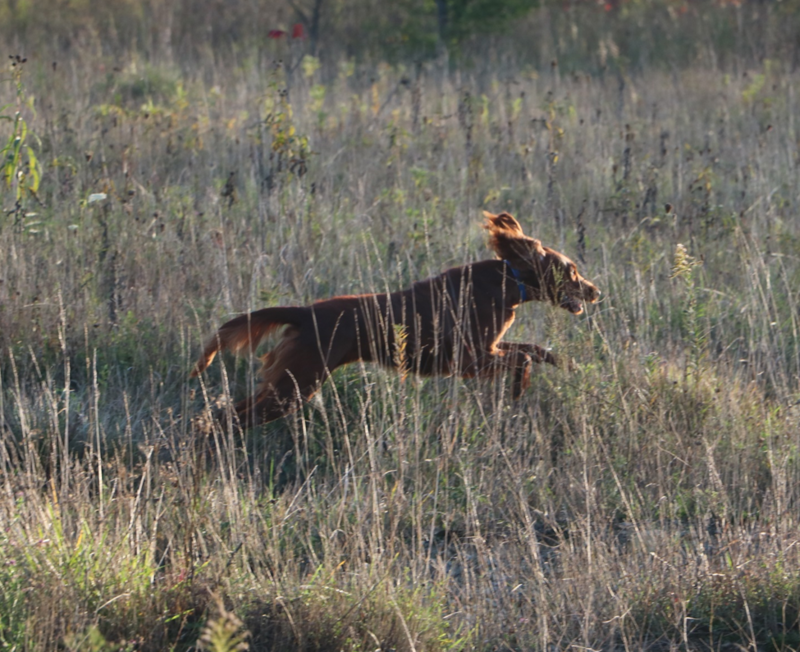 She is like a gazelle. She has mastered the terrain and hasn’t hurt herself. In fact, I see the determination in her as she runs as fast as she can in large circles on one side of the path...around and around she goes several times. Then she darts past me and does circles on the other side. Finally, we get to the Badlands area. Ginger wanted to explore the Badlands and off she ran. After exploring, I gave Ginger some treats and put her on the leash again. However, she wanted to talk. So, on that cold, late-November morning, we talked. 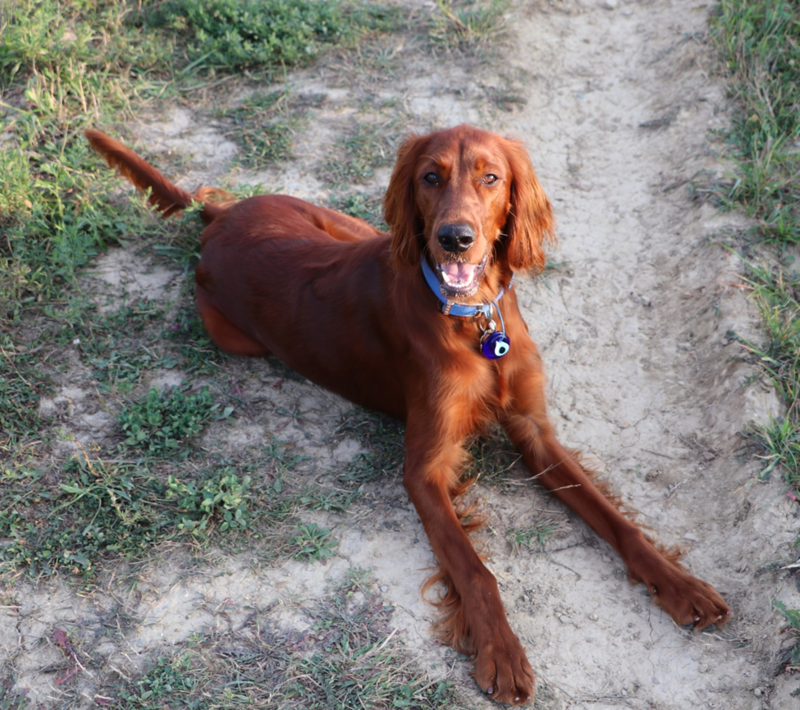 I responded that Sherlock would like to take walks with Ginger as I do. He would unleash her and encourage her to run. However, with his comment, “You can’t run away from yourself,” Sherlock Holmes reminded the innkeeper and the rest of us that we can’t run away from our fears. Sherlock Holmes wants us to face the fear whatever the fear is. People and dogs can’t run away from fear. Ginger’s retort was watch this; I’m facing my fears.